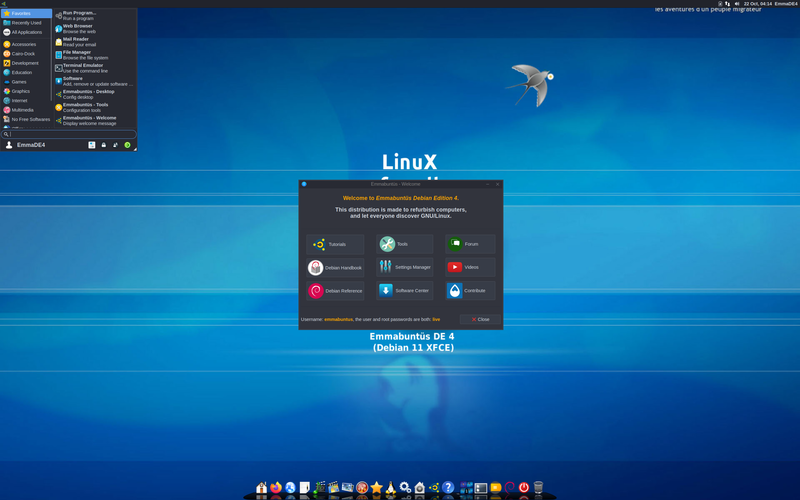 Rate this project Emmabuntüs is a desktop Linux distribution with editions based on based on Xubuntu and Debian's Stable branch. 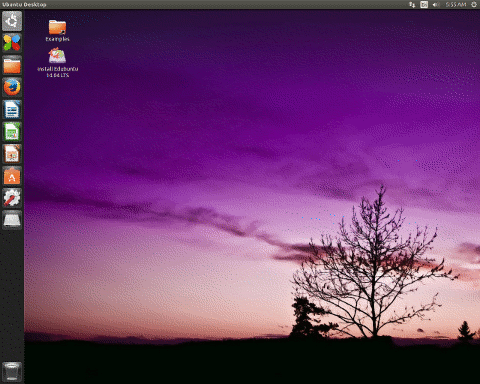 It strives to be beginner-friendly and reasonably light on resources so that it can be used on older computers. The project's latest release is based on Debian and includes several bug fixes along with support for a wider range of wireless network cards. "As a reminder, this version includes the UEFI support for the 32- and 64-bits architectures, and integrates the essential 'Debian Beginner's Handbook', updated for the Stretch version by our friends of the 3HG Team led by our mate arpinux, this handbook being available in both French and English versions. Also included are our latest presentation and installation tutorials already published on the Developpez.com site, as well as the one concerning the printer configuration under Debian, also available in both French and English languages. This Debian Edition 2-1.01 version includes the following fixes and enhancements: Based on Debian 9.3 Stretch. Workaround concerning the display freeze at startup bug in the Linux 4.9 kernel...." More details can be found in the project's release announcement. Download: emmabuntus-de2-amd64-stretch-1.01.iso (3,632MB, SHA256, pkglist). Emmabuntus is a desktop Linux distribution which strives to be beginner-friendly and reasonably light on resources so that it can be used on older computers. The project's latest development release is based on Debian Buster, which is about to become Debian's next Stable release. The new development snapshot, Emmabuntus Debian Edition (DE) 3 Alpha, ships with a number of updates and application changes: "This Debian Edition alpha build includes the following changes, fixes and enhancements: based on Debian 10 alpha 5 'Buster'; replaced the following GNOME applications - Evince with Qpdfview, Sound Juicer with Asunder, GNOME Calculator with Galculator, Shotwell with Nomacs; removed some duplicate applications - Totem, digiKam, Brasero, Fotoxx, qBittorrent, Chromium, Evolution; removed obsolete applications - FreeTuxtv, Shutter; removed the Arduino application to reduce the distribution size ISO image size; size further reduced by deleting unnecessary language files, package information; replaced obsolete gksu with pkexec." Further details can be found in the distribution's release announcement. Download: emmabuntus-de3-amd64-buster-alpha.iso (2,973MB, SHA256, pkglist).